Here in the states, celebrating Independence Day often means being in the heat for long amounts of time for cookouts and fireworks. 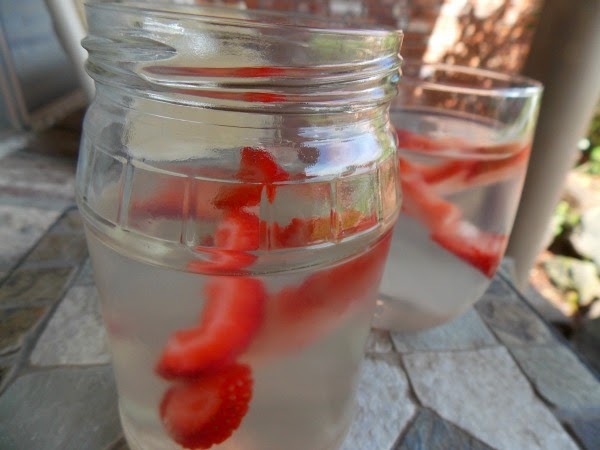 To encourage everyone to drink enough water, I thought I'd try making icicles from strawberries and lemonade. 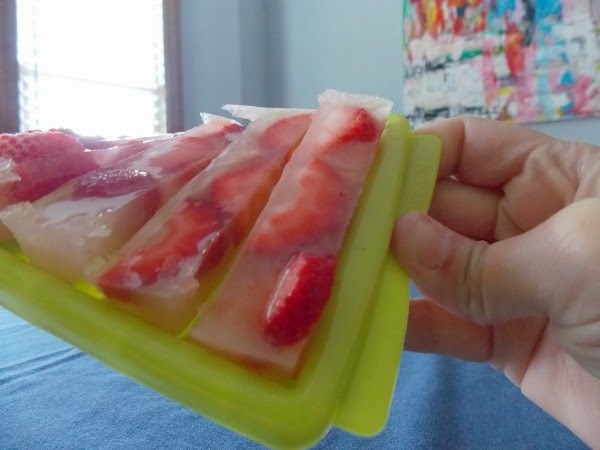 I found this water-bottle-ice tray cheap at a dollar store which seemed perfect because you can use the ice in glasses or water bottles. Since they're long, I'm calling them icicles ~ that's what they remind me of. 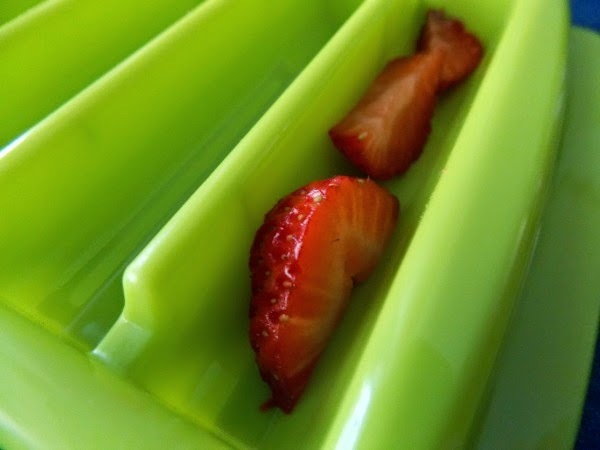 :) I sliced up the strawberries and arranged them pretty side up. 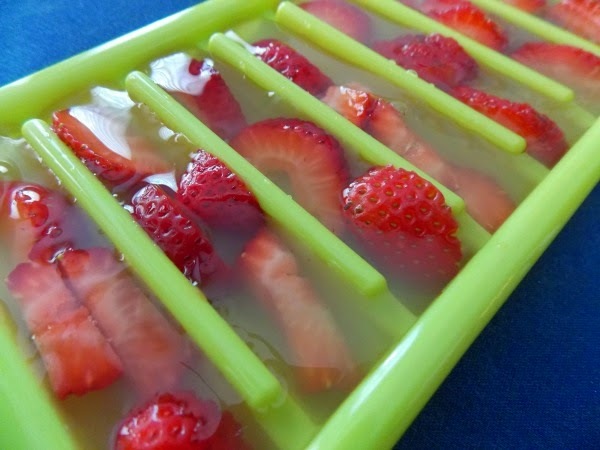 Then I poured lemonade over them, although you could simply use water. I like the taste of lemon in my water so I opted for lemonade. 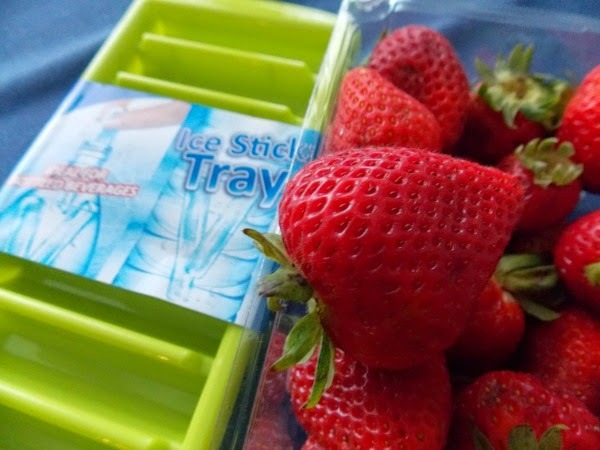 Leave in the freezer till they're solid. 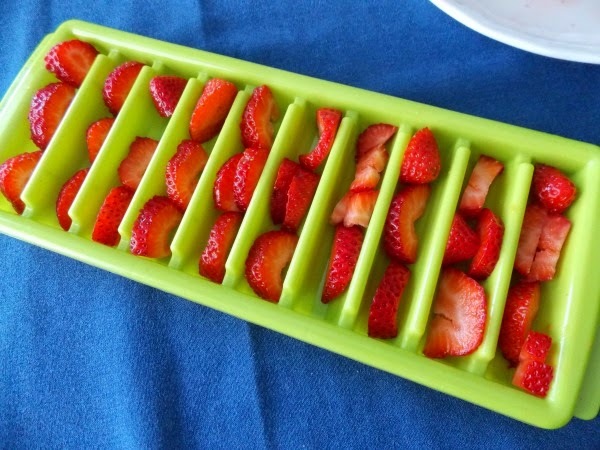 Put them in glasses or water bottles and enjoy! I added frozen blueberries at the end for the contrast of red and blue. 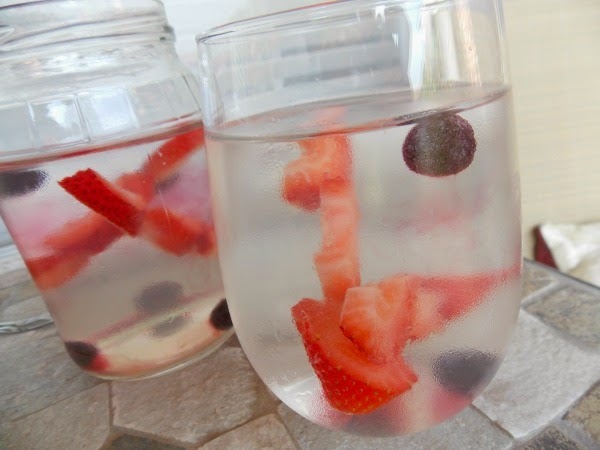 The flavor was slight, but the water was beautifully inviting and that always helps me drink more water! For those of you in the states, Happy Fourth of July!